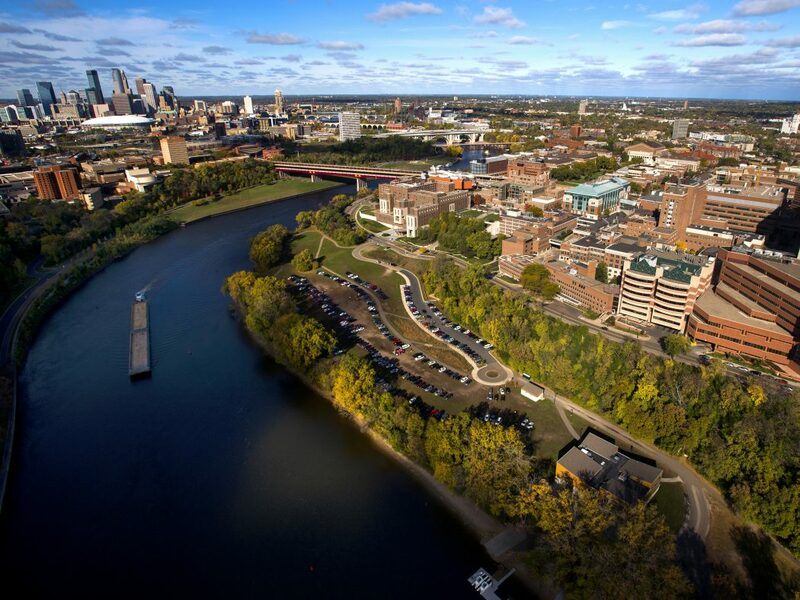 Aerial view of University of Minnesota East and West Bank campuses and the Mississippi River. Photographer Patrick O'Leary. Image via University of Minnesota. The world of higher education is notoriously siloed. Colleges and universities are divided into departments by discipline, which often contain particular subdisciplines. Crossing these lines is difficult and sometimes perilous. But the study of rivers and water necessarily crosses disciplines. Scientific study can tell us a lot about water, but not what the meaning of our local river is. This issue of Open Rivers explores higher education programs that contribute to new understandings of rivers. We include perspectives from sciences and engineering, as Barbara Heitkamp’s review of the work at the St. Anthony Falls Laboratory demonstrates, and as Nicholas R. Jordan and his colleagues show in their discussion of research on Seven Mile Creek. There is a lot more happening on campuses across the country though. 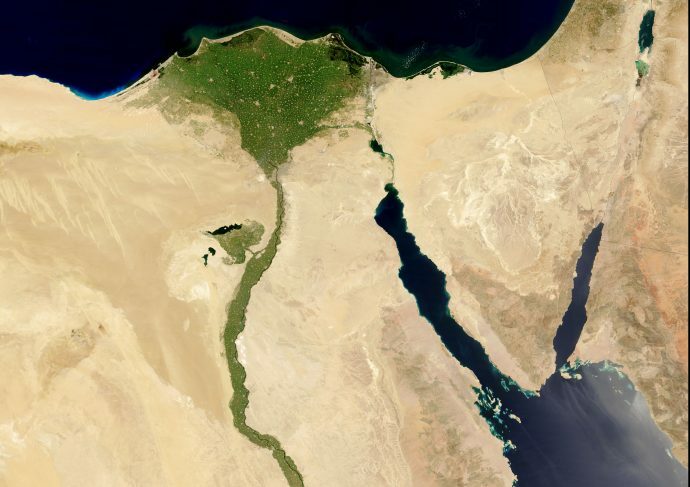 This issue of Open Rivers is distinguished by two articles that we solicited from colleagues at other universities. Bethany Wiggin, the founding director of the Penn Program in the Environmental Humanities, offers a rich description of the kinds of programming, engagement, and exploration that come from a deep encounter with a diverse river stretch like the Lower Schuylkill River in Philadelphia. Across the continent, the Los Angeles River is the subject of Tyler Huxtable’s exploration of how a river can be part of the emerging image of even such an “unnatural” city as Los Angeles. Huxtable is part of the staff at UCLA’s Laboratory for Environmental Narrative Strategies (LENS). We ask universities to undertake specific roles in our society. One of these is to push inquiries into difficult subjects, asking hard, inconvenient questions that other organizations aren’t necessarily tasked with looking into. 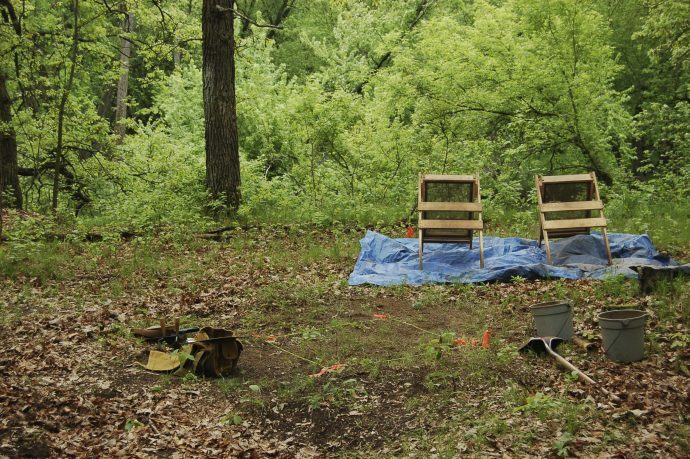 Kirsten Delegard and Kevin Ehrman-Solberg take up this challenge with their research into the historical and spatial distribution of racially restrictive covenants in Minneapolis. Their findings, that there seems to be a strong historical correlation between restrictive covenants and park lands associated with water bodies in Minneapolis, is sobering news for people committed to a more inclusive future for our water landscapes. Sara Axtell speaks directly to the sometimes uneasy alliance between community needs and university perspectives in her reflection on bringing disconnected practices together. Universities have responsibilities to their communities, responsibilities which can be hard to understand, much less fulfill. Speaking of communities, universities are often the location of artistic or other enriching experiences for community members as well as the campus. Phyllis Messenger’s review of the theatrical production, One River, in Duluth describes just one aspect of a year-long community-engaged series of programs that gathered dozens of diverse perspectives on the St. Louis River. Of course, the most visible embodiment of a college or university is its student body. Joe Underhill offers a rich, evocative reflection on a semester-long trip down the Mississippi with a group of students from Augsburg College. Kristen Anderson took a more traditional route to broadening her education: study abroad. Anderson’s year in Germany nevertheless broadened her understanding considerably of how communities interact with water. Issue 6 is broadly diverse, yet quite focused. We think all of the pieces contained here offer a distinctive, provocative, perspective that pushes our thinking forward on issues of place, community, and water. Look for more like this in the months to come. Happy reading! Nunnally, Patrick. 2017. 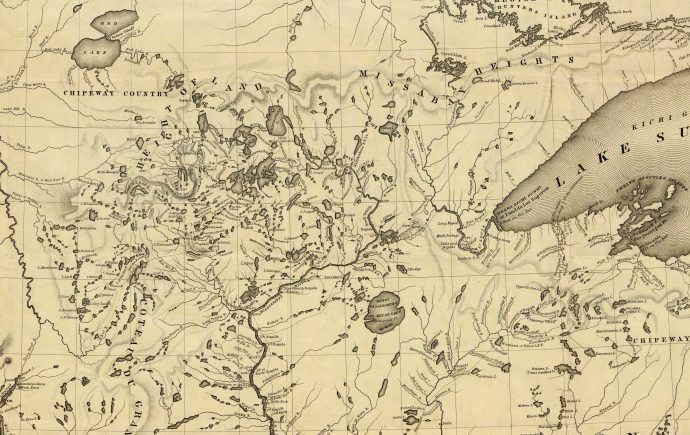 “Introduction to Issue Six.” Open Rivers: Rethinking The Mississippi, no. 6. http://editions.lib.umn.edu/openrivers/article/introduction-to-issue-six/. Download PDF of Introduction to Issue Six by Patrick Nunnally. Patrick Nunnally coordinates the River Life Program in the Institute for Advanced Study at the University of Minnesota. 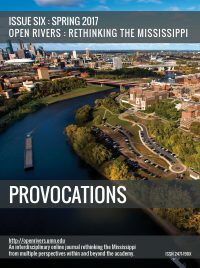 He serves as editor for Open Rivers and one of the lead scholars for the University's John E. Sawyer Seminar, "Making the Mississippi: Formulating New Water Narratives for the 21st Century and Beyond," funded by the Andrew W. Mellon Foundation. The Mapping Prejudice project has brought veteran property researcher Penny Petersen together with scholars and students from Augsburg College and the University of Minnesota to unearth and map racially restrictive property deeds in Minneapolis. In fall 2016, some of the stories and legends of the St. Louis River were woven into a play called One River, written by theatre professor Tom Isbell and performed by a student cast from the University of Minnesota Duluth (UMD). I have grown especially interested in water issues. 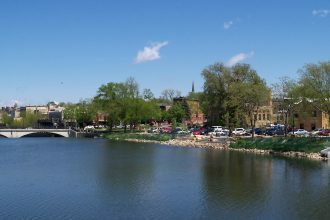 I care about the Mississippi riverfront in Minneapolis, the effects of agriculture on water quality, and the connections people have to their drinking water, lakes, and rivers. So when I went to Germany to study, I took a good look at how the places I visited treated water as part of the landscape. What happens when you leave the confines of the classroom, step away from the whiteboards, data projectors, and PowerPoints, and move into the richness of the world itself? In August 2015, a group 17 students, staff, and faculty from Augsburg College loaded four 24-foot voyageur canoes with their gear and started paddling down the Mississippi River as part of the first River Semester. In the twenty years I have worked for the University of Minnesota, I have had many opportunities to be involved in partnerships with community organizations. These partnerships can create an incredible space for learning for the faculty, staff, and students who participate.